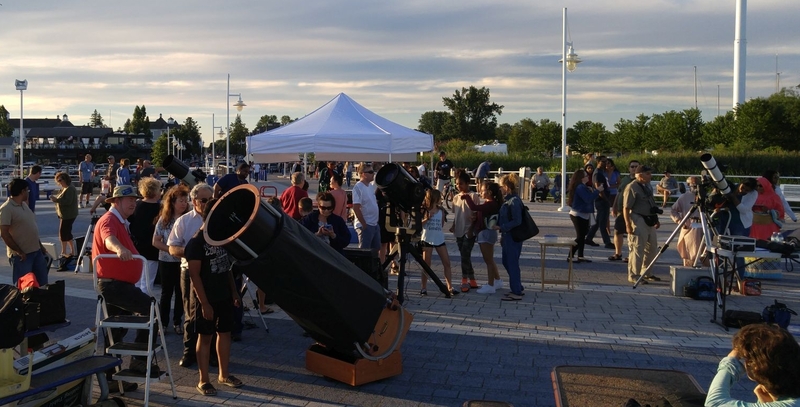 Everyone is invited to join us and Durham Skies for stargazing at the edge of Lake Ontario. Take a free look through different kinds of telescopes (including solar-filtered scopes) to get close-up looks at sunspots, craters on the Moon, and planets visible in the current night sky. Peer into deep space and try your hand at spotting faint star clusters and nebulae. You can even bring your own telescope along and we'll give you expert advice on how to use it better. Everything gets underway at 6:00pm with solar-filtered telescopes providing views of sunspots and prominences. Before heading down to the Square, please check our website for a GO/NO-GO decision based on the weather.